K-Pop idols make some of the best models for Korean school uniform ads, so it’s not surprising when they rock the student look in their music videos. Some artists, like f(x) and Infinite, are typically featured in brand campaigns, and this is not only because of their visual factor. More often than not, the idols chosen are of student age, or close to, for that matter. Plus, since K-Pop’s main demographic is teenagers, the student concept is perfect. Some idols’ stylists take the literal route, wearing actual school uniforms but styling them a bit cuter, while others take a more editorial route, styling high-fashion clothes that look like uniforms. But whichever might the course they take be, the school uniform concept is a cute yet polished look that transcends time and trends. Take a look at these six music videos that perfectly employ the school uniform concept. Despite the student look not being innovative, it’s now automatically associated with EXO because of their Growl music video and promotional activities. Growl is to EXO what Sorry, Sorry is to Super Junior, and along with that staple comes the uniforms. For this music video, stylists went the costume route, not using actual fashion pieces (other than the Puma sneakers) nor real uniforms, but designed pieces specifically for each member. Of course, they made sure to give each guy different looks within the same concept, like Tao’s sleeveless blazer, the various print ties, or Baekhyun’s red snapback, to make it cohesive. Growl’s styling works because even though they’re costumes and altered versions of uniforms, they don’t seem forced or gimmicky. The suits were tailored impeccably, and as mentioned before, even though they all appear the same as a whole, they are not. No member looks just as or similar to other members, making the overall styling flawlessly effortless. 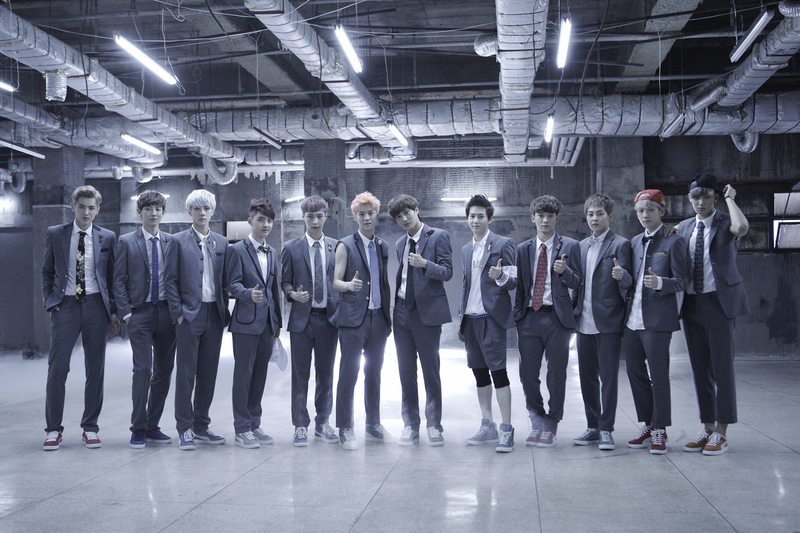 When BTS’ Boy in Luv came out, the first music video it was compared to because of the styling was Growl. 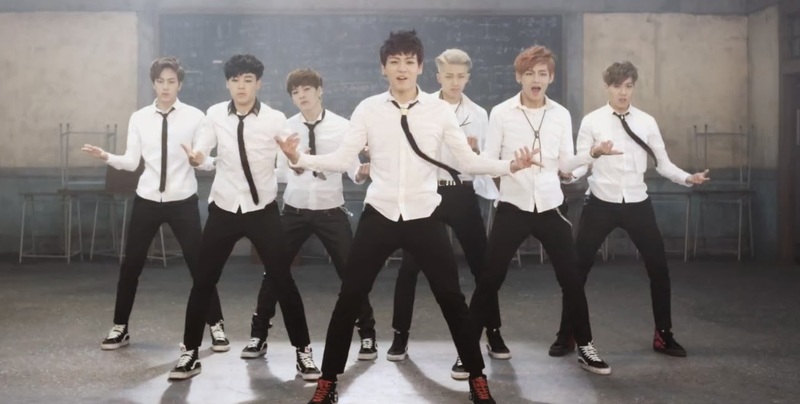 But other than the fact that EXO’s came prior and they also used uniforms,Boy in Luv is far from being a copy. Even if you’re only fairly acquainted with BTS, you know that their brand is the ghetto goth hip hop style, so it’s a given that their stylists dress them in mostly black and white clothes all the time. That’s exactly the case with Boy in Luv, where they wear minimal ensembles (black and white, skinny tie, and fitted trousers). And in order to avoid a high fashion look, the stylists opted to go a more realistic route that stayed true to their rougher, school thug idol concept. They achieved this by wearing pleather applications on their clothing (like Jimin’s button-down) and lots of guyliner, and accessorizing with chains and earrings à la Shut Up Flower Boy Band. Sorry girl, couldn’t get your face in the screen shot. Furthermore, the actress’ ensemble is a very grunge meets Chanel look, which is the highlight of the video. The contrast between the tailored blazer with the white lining and crest and the tartan printed skirt and tie, was a great interpretation of a fashion look as a costume, rather than a student costume. And since we’re on the tartan print route, let’s talk about f(x)’s Rum Pum Pum Pum, where stylists actually used Korean brand pushBUTTON’s FW 2013 pieces on the girls. This is a great example of stylists using high fashion pieces in order to give a normal concept an editorial spin. Of course, this is only one look within a music video that featured multiple colorful looks, but the school girl one is definitely the focus point. Tartan is immediately associated with Scottish kilts, but the way the stylists dressed f(x) gave it an avant garde interpretation of school uniforms. Stylists further complemented the look by accessorizing the girls with thigh high stockings, knee high socks, platform shoes and sneakers, and for a more literal reference, Sulli’s “Geek” crop top written in varsity font. Moreover, Amber wearing an outfit more typically interpreted for guys makes the schoolgirl concept come to a full circle, showing range in the stylists’ work. For Mr. Chu, A Pink’s stylists played with the music video’s plot more than the previous ones and didn’t just use one school uniform look, but two. The first is a simple black and white minimal look, with button-downs, knee high stockings, and skinny ties, which contrasted perfectly with the bright colors in the background and props. The other one is a Blair Waldorf inspired preppy-cute look where they mixed in some navy blue with the whites and black to further accentuate their innocently feminine concept which they are known for. These lasts ones were more versatile and different for every A Pink member, as opposed to their other looks, where they look more alike than not. The uniform seen in Akdong Musician’s Give Love were far more conservative than any others on this list, and that’s probably because of Soo Hyun’s age. However, miniskirts and tight blouses are not synonymous with style, and the knee-high a-line skirt, the overall dress, and the thin ribbon bows show that a more conservative approach also looks good. Soo Hyun and the actress’ style are a more whimsical version of a school uniform, and the grey and royal blue pieces fit perfectly with the music video’s use of color. The actor’s look is also a winner, because even though it’s simple and doesn’t include accessories, it’s clean, refreshing, and doesn’t take too much attention from his co-stars. The three looks used reflect an innocent concept, but the stylists made sure not to make them boring. Since MYNAME’s Baby I’m Sorry’s music video is like a mini drama, their uniforms had to be more realistic, and thus, the same for all members since it wasn’t a musical performance. And in contrast with BTS or EXO, MYNAME’s stylists incorporated color to their looks and stayed away from black. The striped blue and yellow ties together with the red sneakers gave cool pops of color to an otherwise dull school uniform. Furthermore, the mismatch of these colors and patterns with the gray khakis reflect a more realistic take on how a regular boy would style his uniform. But since mismatching colors and patterns are in trend, the stylist paired them in a way that didn’t result in disaster. What’s your favorite school uniform concept music video? 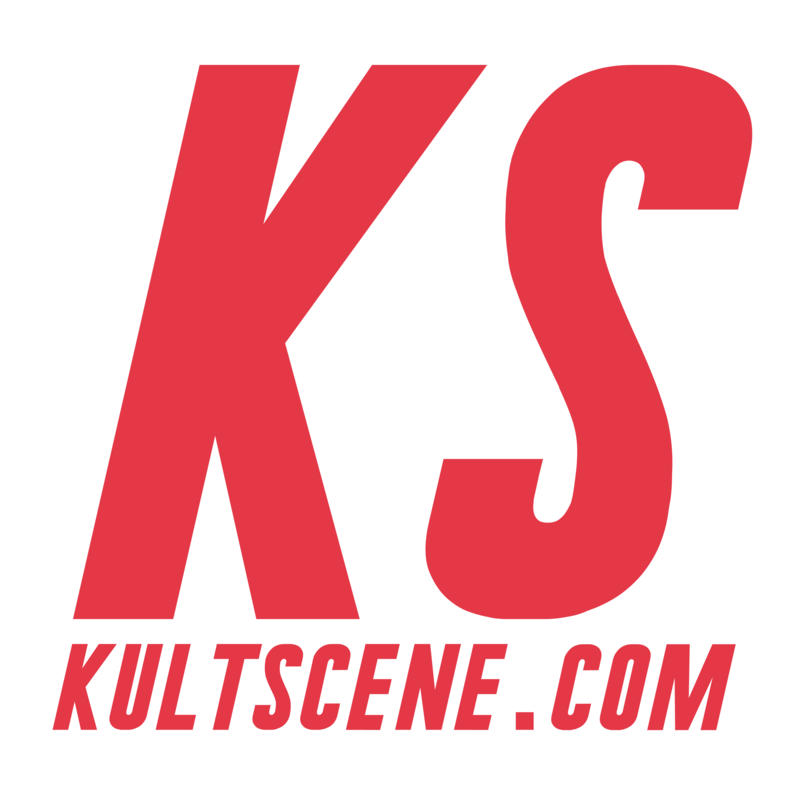 Leave your pick in the comment section below, and be sure to subscribe to the site and follow us on Facebook, Twitter, Instagram, Tumblr, and Bloglovin’ so you can keep up with all our posts.